Since the earliest days of Nextcast, we have grown to include a broadly skilled group of Team Members, Pro Staffers, and Representatives worldwide. We have come together with one passion: SPEY. We have worked together to design lines, talk fishing, share casting techniques, and keep a relaxed and friendly attitude towards all things spey. 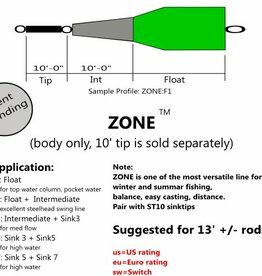 Together, we have designed and tested the current WorldChamp15 that took top honors at the casting ponds in Spey-O-Rama 2013. We have designed the SalarFinder with input from the best Scandinavian anglers. We are Architects, fishing guides, casting instructors, school teachers, workers, pilots, 15' - 191' World Record Holders, Spey bums, two time Spey-O-Rama Champions ... and working together, we bring a diversity of perspectives to attain perfection in spey line design.